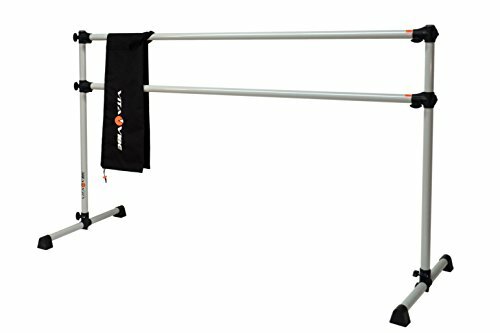 Vita Vibe Ballet Barre - DBNB4 4ft Portable Double Bar w/Bag - Freestanding Stretch/Dance Bar - Vita Vibe - USA Made by Vita Vibe at H Highland. MPN: DBNB4. Hurry! Limited time offer. Offer valid only while supplies last. The ultimate in portability. Quick easy set up, Sure grip rubber feet. 1-1/2'' diameter 4' double barre is the optimum size for users of all ages.